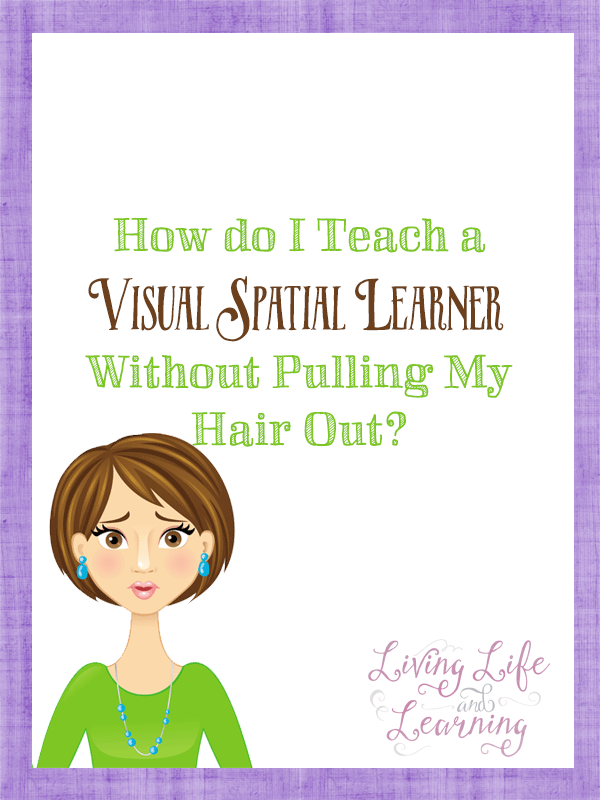 How do I Teach a Visual Spatial Learner Without Pulling My Hair Out? The title pretty much says it all, teaching a visual spatial learner can be very challenging. If you have a VSL, you’ll know that it is highly likely that they don’t have a concept of time, they are disorganized, or their minds are running in 10 different directions at the same time. How do you I know this? Once on many occasions my son has asked me questions about Star Wars during a math lesson. Or he’ll randomly tell me about some Japanese historical figure while he is doing an art project. Sometimes it takes all the patience in the world to accept my child for who he is. I always feel as though I have to keep reminding him to stay on task. He gets so easily sidetracked that it gets burdensome to keep him on track. I don’t want to nag and I don’t want to feel as though he is hurried either. Your VSL needs to have a schedule. I have two schedules for him one for his routine and then one for his schoolwork. I was just tired of repeating the same thing every, single, day. When he was younger I had a picture schedule with diagrams of everything he is suppose to do, now it is a checklist that sits on our fridge. There are morning, afternoon, and evening tasks, I include everything on it, time to wake up, brush your teeth, clean up room, feed the pets. This way, your child knows what is expected of him and I don’t have to repeat it all the time. I can just point him towards the schedule. Make sure that their schoolwork is organized and show them how to put things away. It is so easy to tell them to put their work away at the end of the day and then find that my son has shoved his previous day’s work in between some random books. I have to keep on top of things to ensure that he is keeping is books/school papers organize or it all goes to hell after a month. A workbox system would definitely work well for any VSL. I have a black folder that I labelled for each subject and then I placed each book/duotang in there. That is where everything is to be returned to at the end of each day. I also have a binder for loose leaf papers that is also labelled by subject for him to add papers to as well. All his school books are in one area and easily accessible. How do you get your distracted child to stay on task? Use a timer and allow them a set amount of time to get their work done. Praises for finishing on time but no punishment if they don’t. This will hopefully get them to be more aware of the amount of time they are spending on a subject. Make sure that the allotted time is reasonable for your child and that they can easily finish their task during that time. How do you get your child to stop dragging his feet? My child can take an hour to finish writing a paragraph if he’s not interested in the topic. Tell him to write about Star Wars, and you’ll have a page written within 10 minutes. Make the work interesting to your child. That’s the beauty of homeschooling, you get to choose what your child studies. We spent the entire 2nd grade learning about dinosaurs. We researched and wrote about them. There is grammar, writing, history, science and research skills all in one. It doesn’t have to be complicated. He’s in the 7th grade and can still tell you anything about dinosaurs, their height and what time period they lived in. He asked me to tell him a story about dinosaurs one time and I chose a a herbivore and carnivore and he then stopped me right there. He told me those two dinosaurs did not live during the same time period. How was I suppose to know all those dino facts jsut went in and went out of my ears but not his. 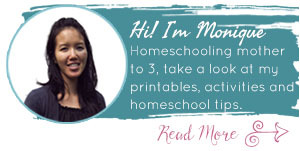 I will give you one piece of advice that I wish someone shared with me when I first started homeschooling. I know, at the end of my first year, I fell into a panic because we were not going to finish the book and I had like 15 pages left. I wish someone would have just said relax. You don’t have to finish the book, you don’t have to finish every single question on the page. If your child knows how to do the first 5, your VSL is not going to want to do 10 more of the same questions. Use your judgement, you’re their parent, you know if they know the material or not. And just relax. I’m late getting up my last posts of this 5 day series but nonetheless they are up. 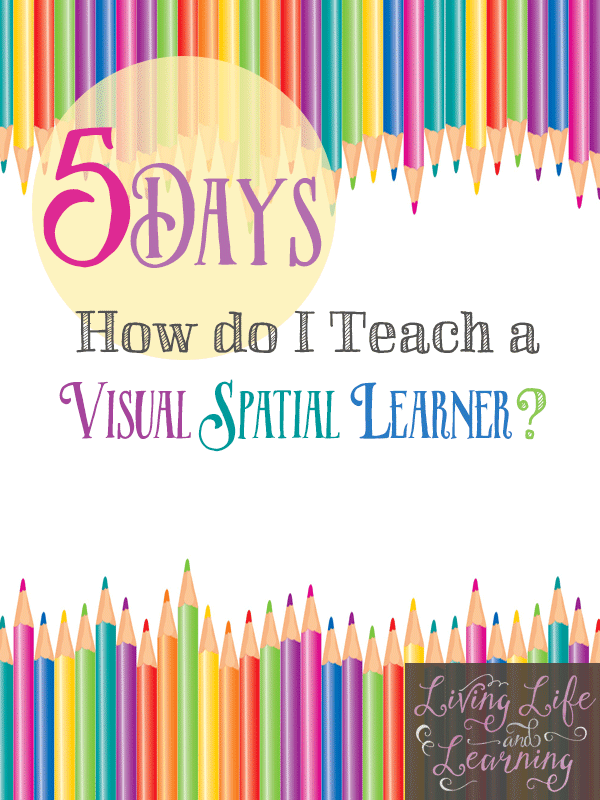 Take a look at my other posts in the series How Do I Teach a Visual Spatial Learner? 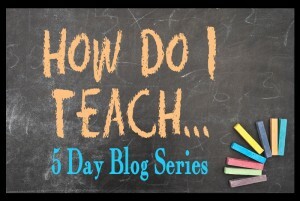 Make sure to check into the other blogs during this 5 Day Series – How Do I Teach…. and don’t forget to check out the other posts in this series – How Do I Teach a Visual Spatial Learner…. « How do I Teach My Visual Spatial Learner History? I wish my parents could have done this for me. I was just dumped into the Public School system. Please check out the greatest blog ever: http://agent54nsa.blogspot.com/ Let me know what you think, please. I’m glad that my struggles have helped someone else. Excellent post, Monique! I, too am the parent of a VSL and it can be frustrating trying to keep him focused and get assignments done. I love the idea of using a timer to stay on task and workboxes. 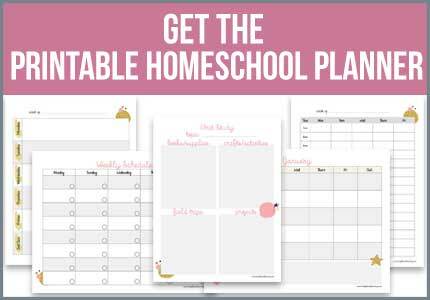 We will definitely be using the tips you mentioned to help better organize our homeschool and make our days more manageable.